As you know from my last Meatless Monday post, I love cheesy comfort food. But with holiday feasts quickly approaching and my CSA ending next week, I'm trying to eat as many veggies as possible right now. Luckily everyone's favorite German wine is right at home with stir-fry—my favorite way to pack produce into my diet. The beginnings of a yummy meal. Is there a grape more versatile than Riesling? That's a serious question because I can't think of one. Renowned for its sweet applications, it is also reliable for its bone dry variations—and everything in between. This grape is grown across the world but is most closely associated with its home: Germany, specifically the Rhine region in the east. True to stereotypes, the Germans have a systematic, organized, and complicated wine appellation system. It is based on both origin and must weight of the grapes at harvest. There are three major groups to know: Landwein, Qualitätswein, and Prädikatswein. Landwein is cheap, basic table wine. It is not necessarily bad but it is not considered "quality" wine. Qualitätswein is where your good value wines can be found. These wines can be inexpensive but given the generally fair quality of German wines, you get a nice bang for your buck. Prädikatswein is superior, tends to be expensive, and houses famous sweet appellations like Eiswein. If you'd like to go down the Pradikat rabbit hole, I recommend this article from Wine Folly. I recommend starting with the Qualitätswein group. These wine labels will list their origin and typically display their sweetness level, too. Much easier than memorizing the Pradikat system, trust me! Using your new vocab, you know this is a mid-level dry wine from Rheingau. Riesling's flavor profile ranges pretty dramatically from lime to apricots. When tasting, I recommend first figuring out if you're getting citrus fruit, tropical fruit, stone fruit, or a combination. 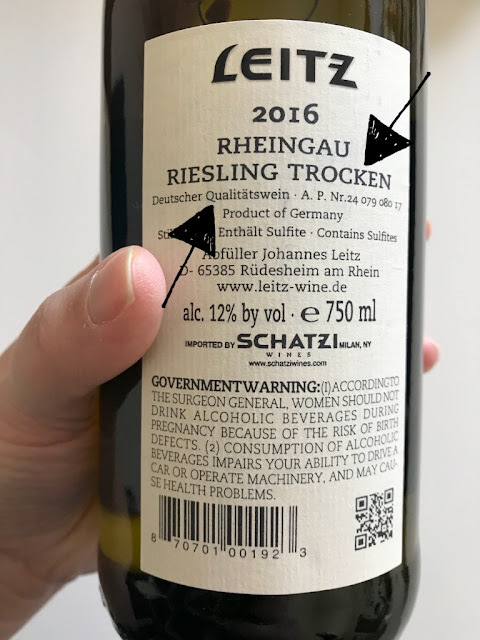 This tip is useful for all white wines but it is critical for Riesling. Once you've established that, you can start to unpack the various fruit and flower flavors, as well as its famous perfume and petrol notes. TIP: When tasting white wines, focus on citrus fruit, tropical fruit, and stone fruit. Across the board, Riesling is a pairing all-star. For spicy Indian and Asian dishes, try a sweet Riesling. 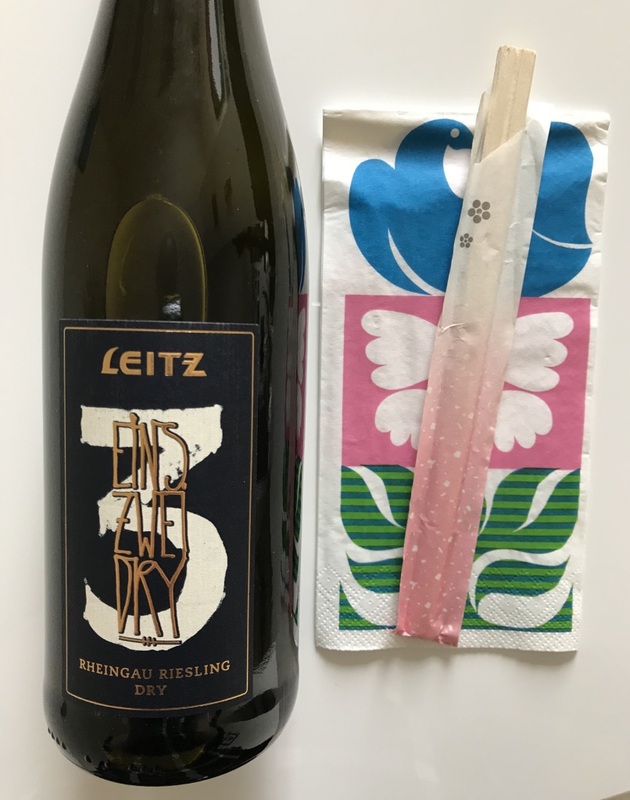 If my meal is not spicy but leans heavily on Asian flavors like sesame and soy, I grab a dry Riesling, like this $16.99 Leitz Eins Zwei Trocken Riesling. Flavors of orange peel, yellow apple, pear, ginger, and yellow flowers sang with acidity. Thanks to a sustained finish, these complementary notes acted as additional ingredients for my stir-fry. 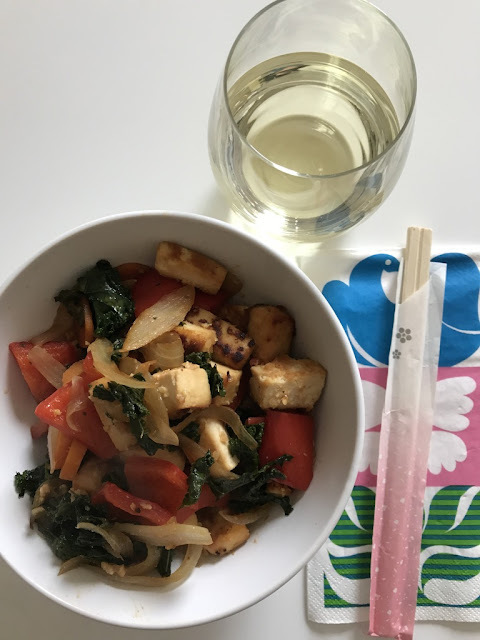 Miso tofu stir-fry with dry Riesling. Without rice, this serves 2. With rice, serves 3-4. Cut tofu or chicken into 1" cubes and combine with marinade. Let sit for 8-24 hours. Set oven to 400 degrees and spread pre-marinated tofu or chicken on a baking sheet. Once preheated, bake tofu for 10 minutes and then turn the broiler on for another 10 minutes. If using chicken, bake cubes until cooked through, about 20 minutes. In a pan, heat your vegetable oil. Add your onions, carrots, and red pepper. Once the carrots and pepper start to break down, add the kale. Stir fry for another 5 minutes or until the kale is fully wilted. Stir in your stir-fry sauce and cooked protein. I like stir-fry solo, but if you want to serve it over rice, you'll have enough for 3-4 people. Feel free to replace the veggies with anything you like! Broccoli, snow peas, and cabbage would all work well. You can also buy pre-bottled stir-fry sauce and marinade if you're crunched for time. Do you have a favorite Riesling pairing? Send me your recipe!